Last week, the United States House of Representatives narrowly passed the American Health Care Act, also known as Trumpcare. The AHCA has been touted by supporters as a repeal and replacement of the Affordable Care Act (Obamacare). The legislation has a long way to go before becoming law. The Senate must pass its own bill, which could be substantially different from the house version. A reconciliation bill would then be drafted and it would need to pass both houses again. 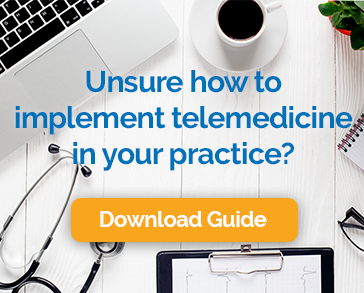 Although the words “telehealth” and “telemedicine” do not appear in the text of the Act, it is unclear at this point what, if any, impact it will have on the use of telehealth technologies. Eliminates the individual mandate to buy insurance. Changes the basis for receiving tax credits to help pay for coverage from primarily income to age. Allows states to apply for a waiver from the ACA’s 10 essential health benefits so that they can define which benefits, if any, insurance plans must cover. Reduces Medicaid spending by about $840 billion over 10 years and ends the Obamacare Medicaid expansion in 2020. Lets states apply for a waiver of the ACA’s community rating provision, which banned charging people with pre-existing conditions more than healthy people. States that get a waiver would receive money from the Patient and State Stability Fund to create things like high-risk pools. At the time of this writing, the Congressional Budget Office has not released its impact assessment on the version of the bill that actually passed the house. However, estimates indicate that as many as 26 million fewer Americans would have health insurance coverage should the bill in its current form become law. In addition, benefits could be reduced for the 74 million Americans who have Medicaid. Fewer people with insurance means a smaller market for telemedicine in a traditional primary or specialty medical practice. Trump’s pick to lead the Centers for Medicare and Medicaid Services (“CMS”), Seema Verma, also seems to be a fan of telemedicine. “Telehealth can provide innovative means of making healthcare more flexible and patient-centric. Innovation within the telehealth space could help to expand access to rural and underserved areas,” she said during her own confirmation hearing. It also seems that telehealth may be the one topic upon which Republicans and Democrats in Congress concur. There are four bills before Congress that relate to telehealth and Medicare, all of which seem to have bi-partisan support. The Creating Opportunities Now for Necessary and Effective Care Technologies for Health Act (CONNECT)– This law would widen the scope of Medicare reimbursement of telehealth services. The Creating High-Quality Results and Outcomes Necessary to Improve Chronic Care Act of 2016 (CHRONIC) – This law would revise Medicare payment protocols for telehealth-delivered treatment of chronic medical conditions. HR 766 – This bill aims to introduce a telehealth pilot program for Medicare patients residing in public housing. The Furthering Access to Stroke Telemedicine Act (FAST) – The legislation would increase Medicare beneficiaries’ access to telestroke resources. States are joining Congress in the effort to expand the use of telehealth technologies by introducing laws that require private insurers to reimburse for telemedicine on par with in-person care. Currently, 31 states have so-called “parity laws” in place. Already this year Kansas, New York, Oklahoma, Utah, and Washington have introduced legislation to achieve telehealth parity. It seems that everyone can agree on the fact that telehealth is an effective way to keep costs down and expand access to care. While the results of the overhaul of the American healthcare system are unclear, optimism about the future of telemedicine is clearly warranted. Practices should not let concerns about the ACHA get in the way of planned telehealth program rollouts.